Although Easy Homes 123 focuses on custom home building, one of our most recent projects was quite unique as it involved a total home remodel of a 24ft x 24ft detached home garage. In a quick 75 days, what once was a stark, unattached storage space, evolved and blossomed into a robust, deluxe one bedroom home that became Energy Star Certified with luxury finishes and total functionality. 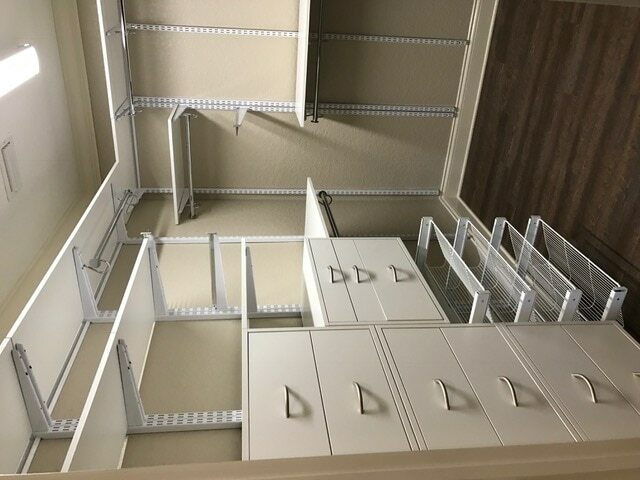 It was imperative to maximize every inch available and we found it obligatory to add 10 feet of living space in order to accommodate all of our client’s needs. 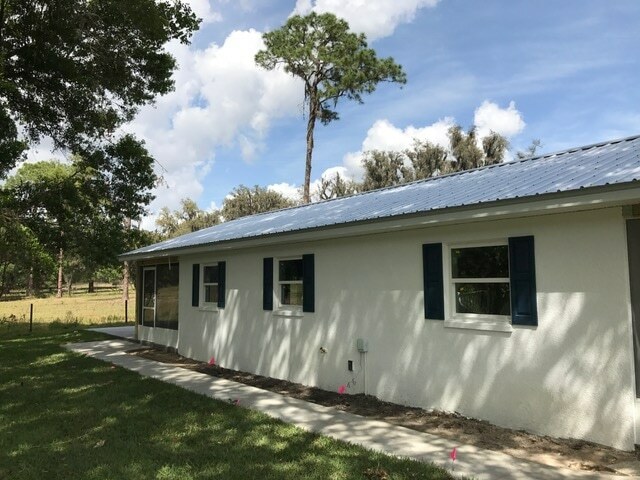 A brand-new metal roof was installed, high- efficient insulated windows were added along with block foam insulation to aid with energy efficiency and sound control. 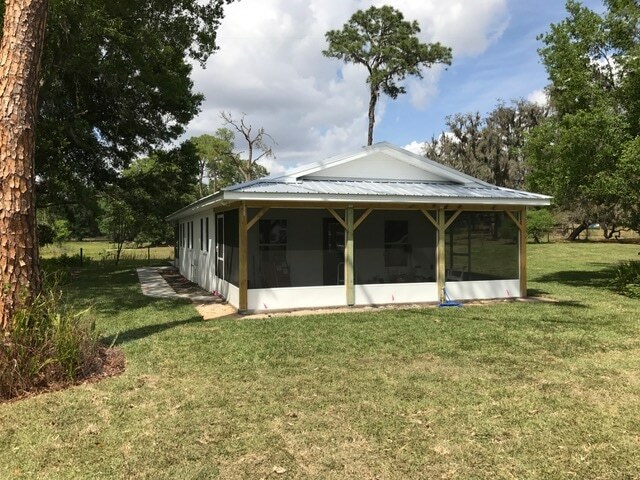 A new trust system allowed for vaulted ceilings throughout, brand new post and beam construction was implemented, along with complete electrical installation, fresh dry wall, duct work, new septic system and water supply lines. 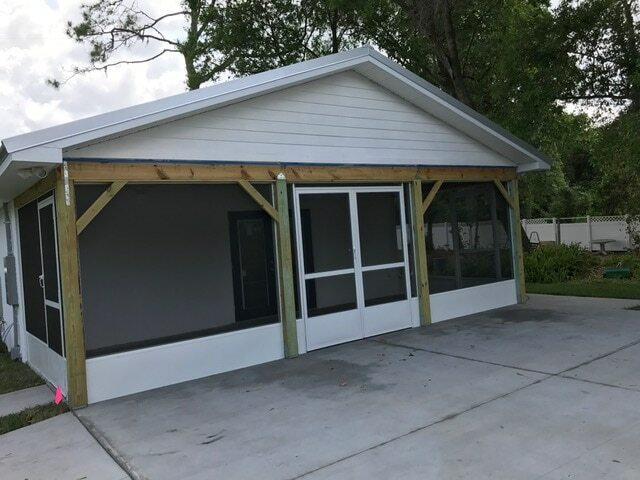 Interior floors were cut to move around plumbing, a sidewalk was installed to ensure easy access from the front and back of the property, a 22ft x 18ft parking pad was laid, and 22 feet of new front porch was added with a Gable Roof and Front Dutch Hip Roof. Stucco was applied to rejuvenate the exterior and the outside was suddenly budding with appealing modern flair. 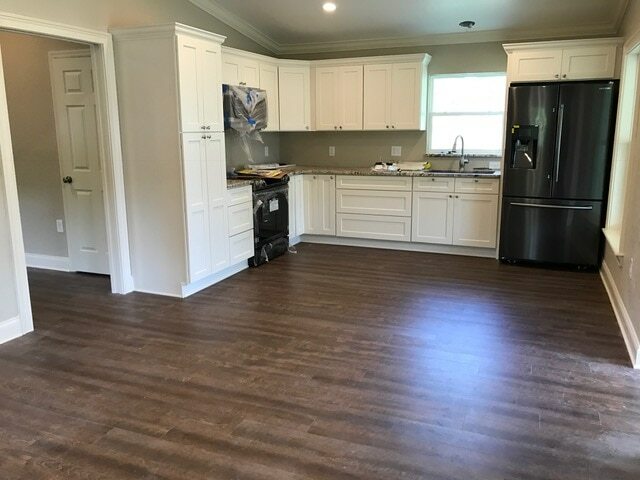 Interior finishes such as hand-scraped wood vinyl plank was installed—a look desired by the customer. 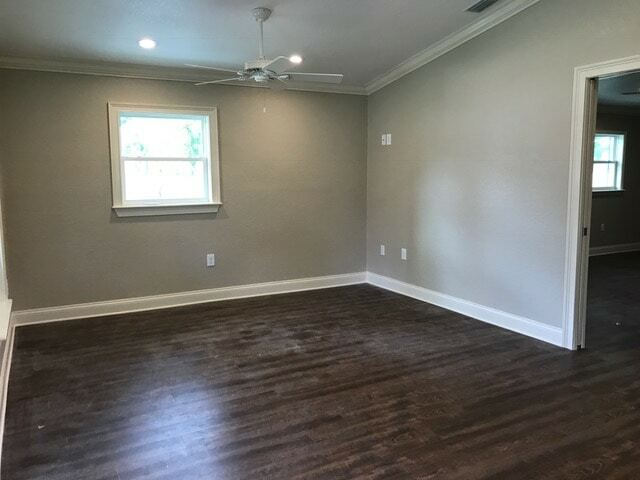 This finish gave the look and feel of warm, wood floors while providing the perks of total water resistance and virtual 100% durability. All window and door openings were modified to accommodate for new windows and doors. 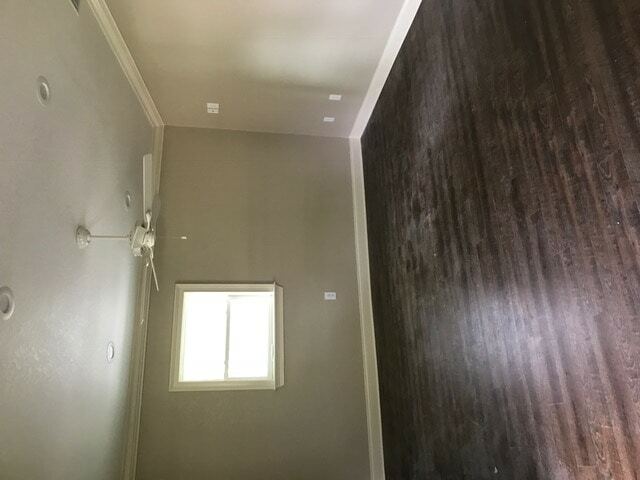 Crowned molding, LED lighting, remote controlled fans, and outlets with USB connectors were implemented. 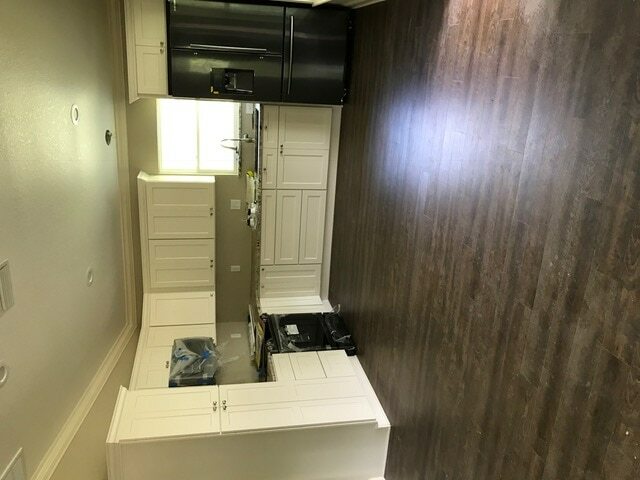 The kitchen housed granite counter tops, tile backsplash, stainless steel appliances with large double door fridge, and impeccably installed kitchen cabinets. 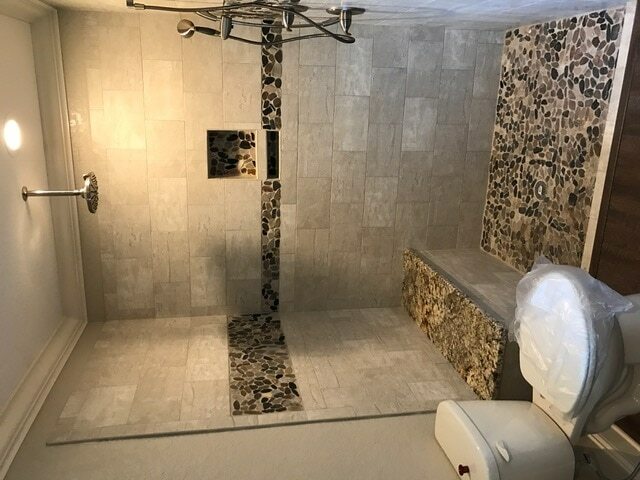 The bathroom was designed with sleek tile and river rock floor inside the shower. Mosaic detail was also installed to add texture and sleek glass doors elegantly encased the shower. 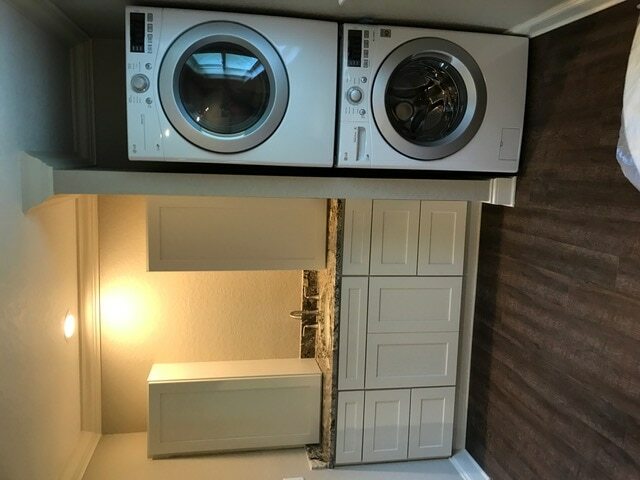 To maximize space, a washer and dryer was installed neatly and tucked away for functionality and aesthetics; and a high-end custom closet system was installed which featured a lock and jewelry case. This project was completed with level 5 finishes and was finished early according to our timeline which left our client appreciative and satisfied—our team calculated a 4-6 month completion date and delivered the finished product in 2.5 months amongst simultaneously working on 8 other projects. Overall we converted a 576-sq. 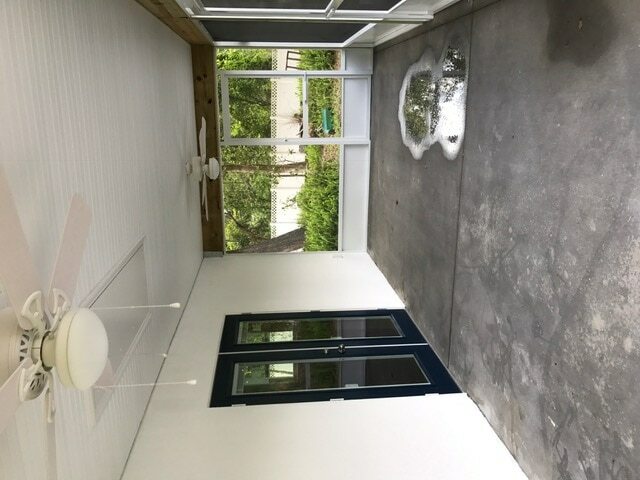 ft. garage into a 1344 sq. ft. home with indoor and outdoor living space which had our customer beaming with satisfaction. 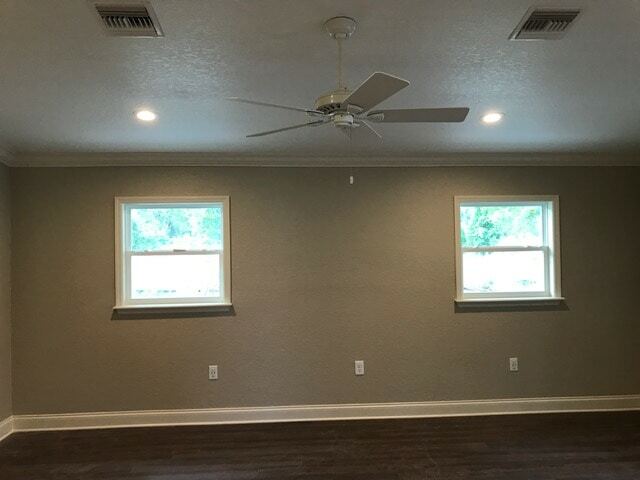 If you would like to view the finished product, this home remodel will be featured in the Spring Parade of Homes with the Polk County Builders Association; and if you’re interested in starting a project with Easy Homes 123, visit our contact page and contact us today!